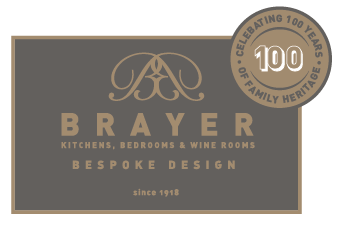 With a family history of cabinet-making which dates back to 1918, Brayer Design specialise in the creation of beautifully handmade furniture for a range of spaces including kitchens, bedrooms, bathrooms, wine cellars and media rooms. 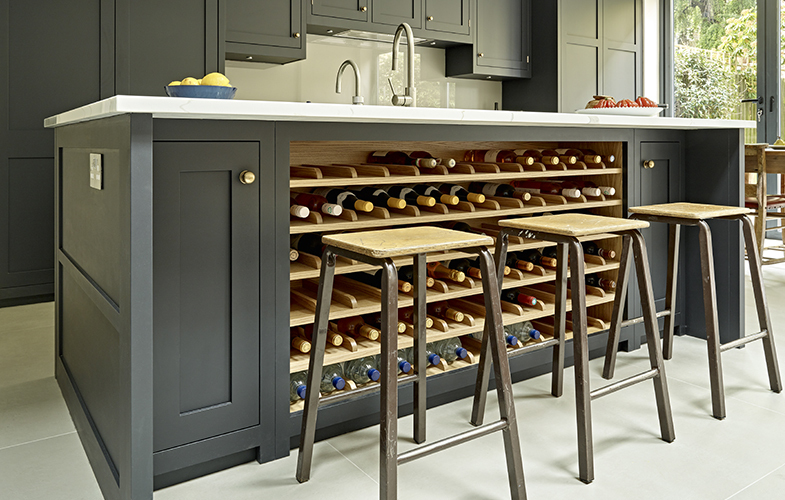 From bespoke kitchens to bookcases and cinema rooms, as well as furniture for the bedroom and bathroom and even temperature-controlled wine rooms, every single piece is created with meticulous attention to detail by our highly skilled designers and master craftsmen in our Surbiton design studio and workshop. 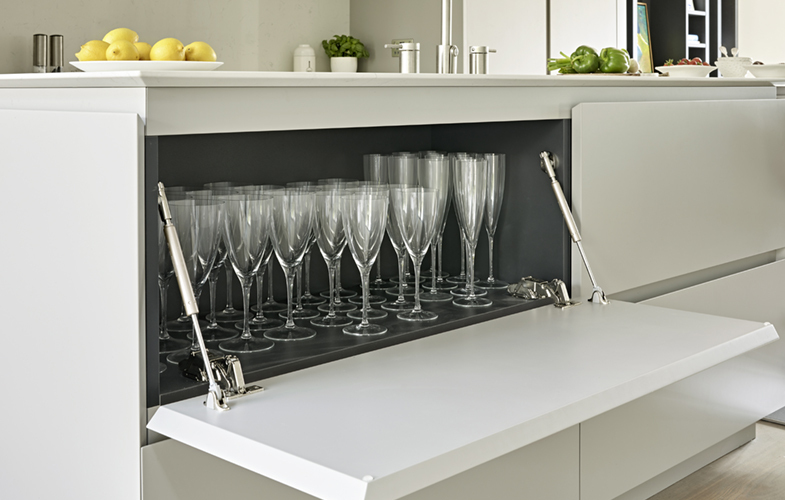 It’s this quality craftsmanship and our consideration of every stage of the process – from design to build and installation – that enables us to produce pieces that work flawlessly, look incredible and fit the practicalities of your home life. 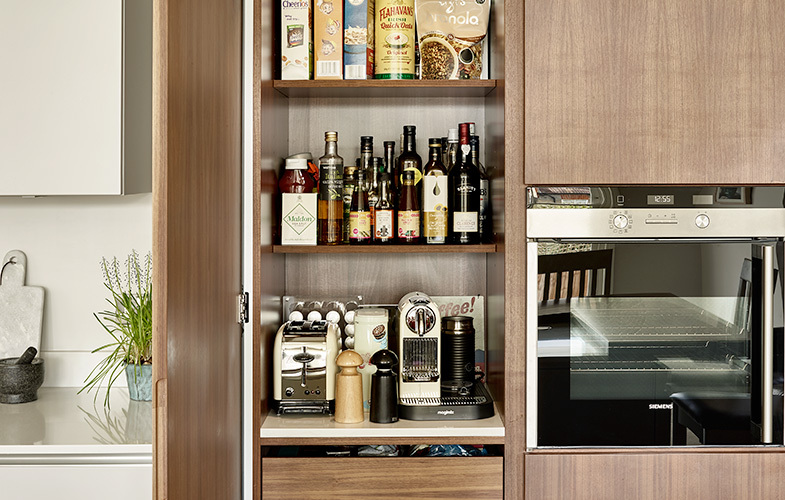 At Brayer, we use only the very best materials for our bespoke kitchen, bedroom and bathroom designs, and all our timbers and veneers come from sustainable sources. We combine heritage and traditional techniques with the modern to create pieces which have earned us a reputation for quality that’s lasted almost 100 years. 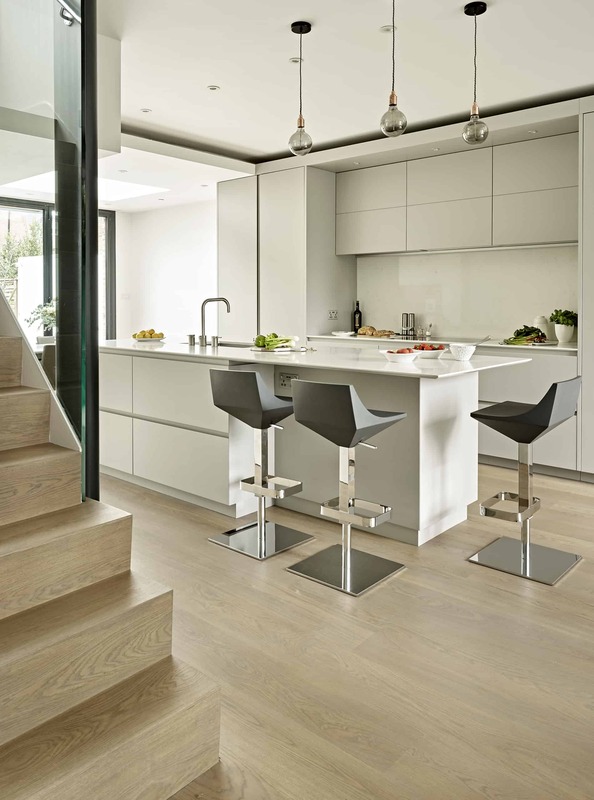 If you are looking for a luxury custom-fitted kitchen, bathroom or bedroom then please book an appointment to visit our Surbiton design office. If you’d like to arrange a time to visit our Surrey showroom and workshop or if you have any questions that you’d like to ask us, please do get in touch via our contact form, send an email here or call us on 0208 397 1111. Below is a small selection of our client reviews and recommendations. Please visit our testimonials page to view more. I can’t rate Brayer Design highly enough. Having recently moved, we wanted to add a fresh modern feel to a couple of bedrooms and study. Barry’s design ideas were amazing, even down to the small detailing. Bespoke wardrobes, cupboards, bookcase and a stunning room divider have transformed our rooms. Such beautiful quality materials and workmanship. The whole team were a dream to have working in our home. The decorators, electricians and carpenter were so professional and worked so hard to get our project completed near time. Top quality service!! We wouldn’t hesitate to work with Brayer Design again. 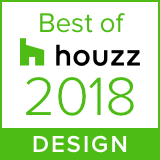 It is our pleasure to write this unsolicited recommendation on behalf of Brayer Design Ltd (“Brayer”). Brayer designed and produced all the carpentry work during the complete rebuild of our 5 bedroom semi-detached house in London. The key item was the design and installation of a modern kitchen including a cooking island. Brayer’s design skills and the quality of furniture produced are impressive – we are extremely pleased with the final result. The Brayer Team carefully listened to our project goals and came up with a wonderful furniture design which suited the whole family. The quality of work done has been consistently top notch. All the Brayer employees were conscientious about following project specifications, and their work product did not require improvement or revision. 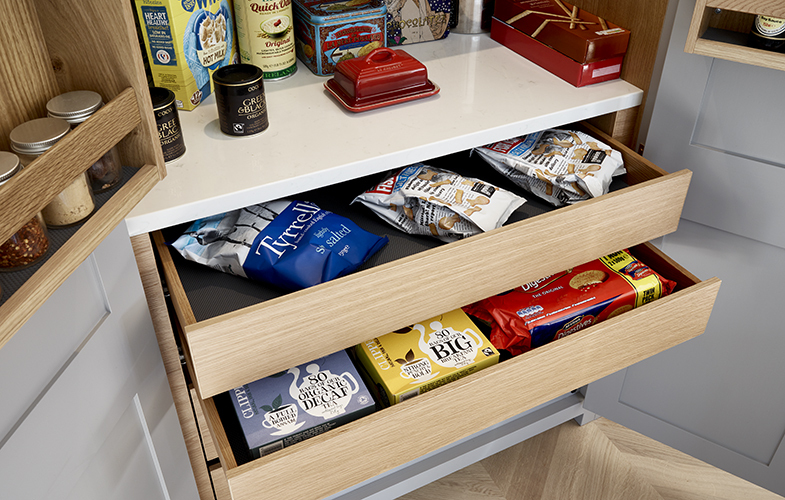 Throughout the project, we were impressed with Brayer’s commitment to generating a top quality product for the entire house. We would not hesitate to hire Brayer again, or to recommend the company to homeowners who intend to undertake a similar project. We have recently had a new kitchen which was designed and fitted by Brayer Design. Barry proved himself invaluable in the design stage, offering advice not just on the kitchen but more general colour schemes and flooring etc. He worked to our deadlines and budget, but still found time to provide the creativity that we were missing ourselves. The rest of the team were no less professional, and we will be forever grateful for their boundless patience as our project dragged on due to delays with related building work. We now have a beautiful kitchen that fulfils our brief perfectly and that’s greatly admired by all our family and friends. A big thank you to the Brayer team and in particular Barry. We wouldn’t hesitate to recommend them to others. Several people recommended Brayer to us and the moment we met Barry we understood why! Barry is the heart and soul behind Brayer; his vision and guidance are unparalleled. The quality of Brayer units is top-notch. Having learned so much going through the process of refurbing a kitchen I now look at the details of any kitchen differently— and I rarely have come across a kitchen that has the same high level of workmanship and quality. All of this is for a fraction of the cost of any high end kitchen designer who is paying large sums for high street showroom space in central London. To top it off, Brayer’s after care service is fantastic. They always have been happy to send someone round to have a look to deal with any query, large or small. It is great to feel looked after and that the relationship continues after fitting. Cannot recommend Brayer highly enough! We have worked with Barry and the team on many projects within London and surrounding areas and I cannot recommend Brayer highly enough.The attention to detail, knowledge and the final finished product always has an incredible wow factor with both the clients and workmen on site. 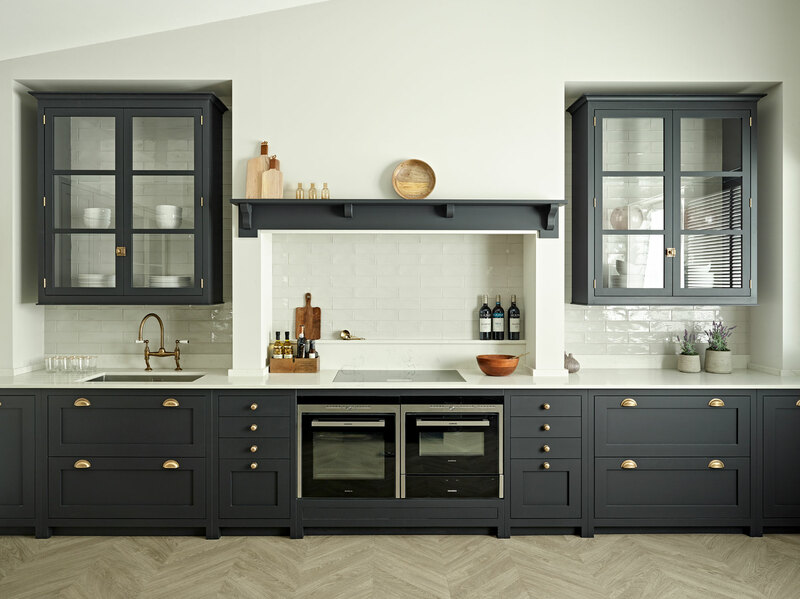 If you are looking for a truly bespoke and quality company to provide a new Kitchen or unique joinery I couldn’t recommend Barry and the Team highly enough. Where to start with the praise. Brayer Design don’t make kitchens they make art. We adore our kitchen, thank you team Brayer. We know several people who have had Brayer kitchens which are 3 and 5 years old and they still look just as magnificent after lots of use. They spent a HUGE amount of time trying to drill down to our individual and specific family needs and tastes while also making unique and stunning suggestions which we would never have thought of. The kitchen that appeared was perfect and the quality and finish exceptional yet it was still extremely sturdy, family proof and functional. We would use them again and again and can’t recommend them enough. Thank you for your time, efforts and endless patience.